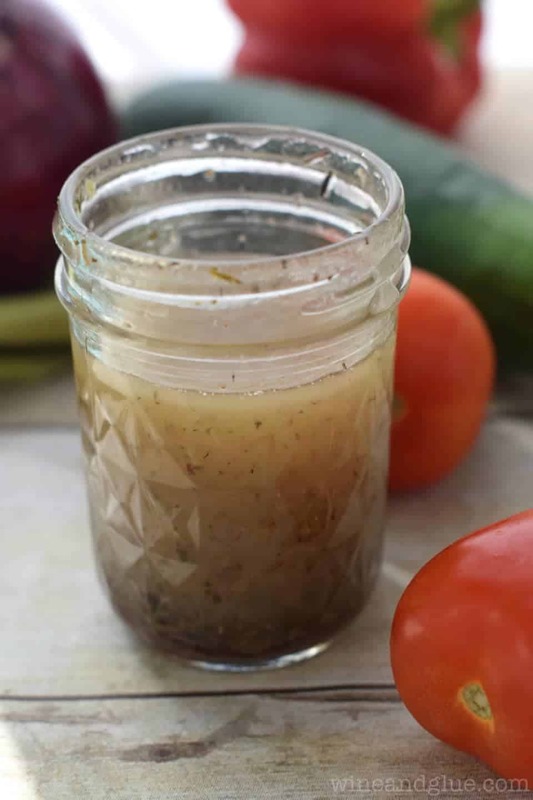 A Simple Vinaigrette Recipe that is the perfect compliment to a wide range of salads and dishes! I’m kind of obsessed with salad dressing. Particularly vinaigrettes. Sort of like, when I have a salad it’s dressing with a side of greens and veggies. 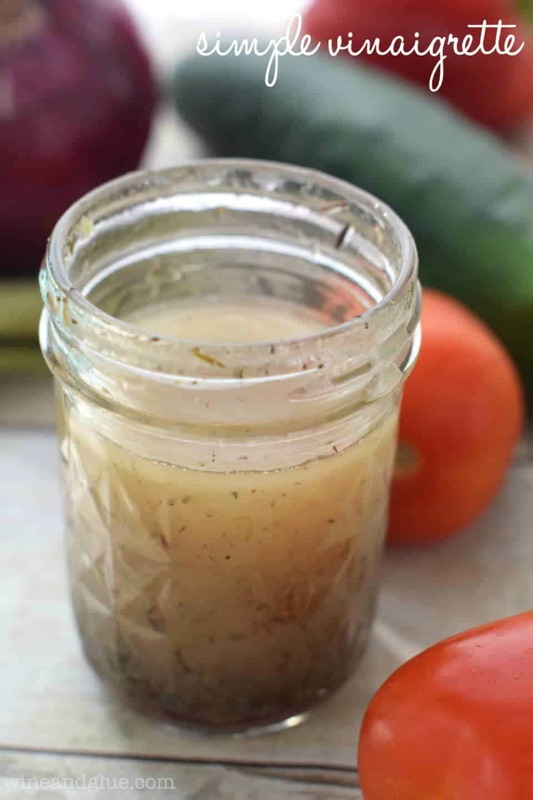 When I was in college, there was a salad dressing that I loved so much, I would go through a bottle a week. At least. I would chop up tomatoes and pour it over them . . . by the bucket load. . . . . And I may or may not have drank the remnants of the bowl at the end . . . . 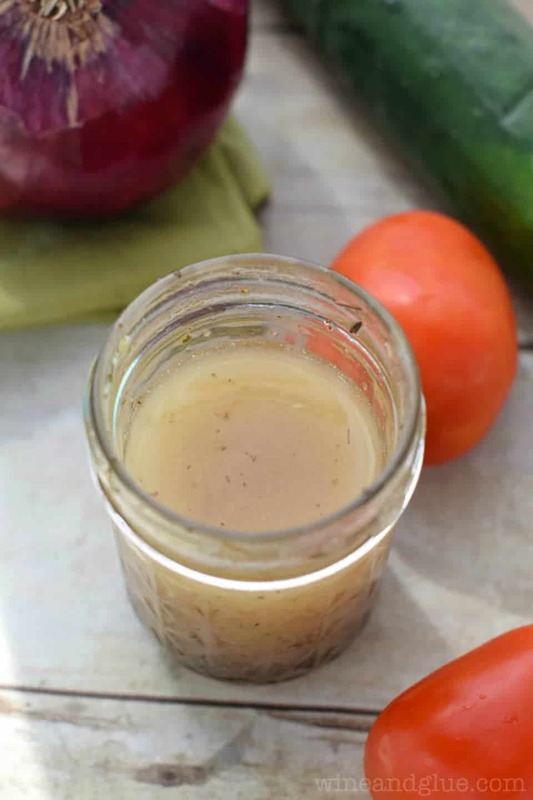 So I love this simple vinaigrette. It is super simple to throw together, you probably have all the ingredients already on hand, and it makes the perfect addition to so many dishes. It would be great on this Mediterranean Chopped Salad, and I have another recipe coming tomorrow that it will be perfect on. And you can bet you’ll see it on some pasta salad in the future. Shake well right before serving. So simple why would anyone buy the store-bought stuff with additives? Thanks for posting and reminding me never to buy store-bought stuff again!